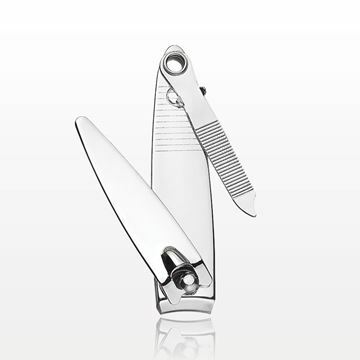 These stainless steel toenail clippers with fold-out file by Diane® are conveniently packaged in a clear reusable container making them perfect for use in salons or as a retail item. The blades are curved, which allows you to cut nails in a natural shape. 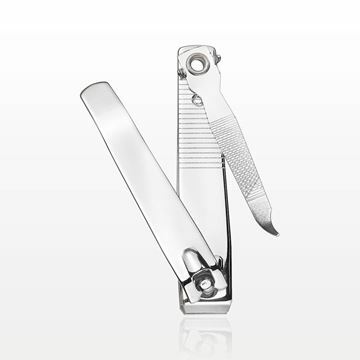 These stainless steel nail clippers with fold-out file by Diane® are conveniently packaged in a clear reusable container making them perfect for use in salons or as a retail item. 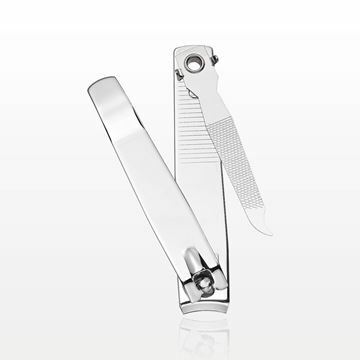 These stainless steel toenail clippers with fold-out file by Diane® are conveniently packaged in a clear reusable container making them perfect for use in salons or as a retail item. The blades are straight, which allows you to cut nails with ease.